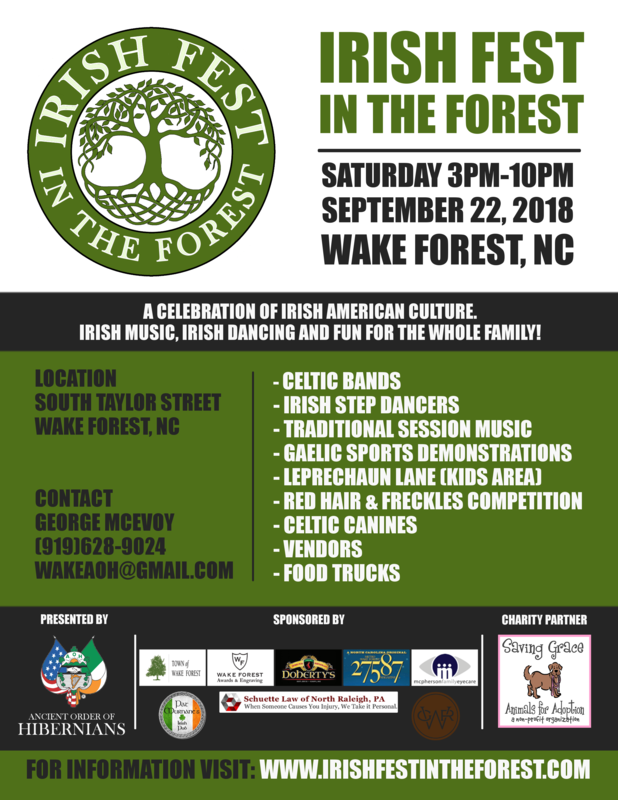 IRISH FEST IN THE FOREST – A CELEBRATION OF IRISH AMERICAN CULTURE FOR THE WHOLE FAMILY! 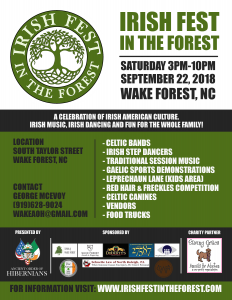 A CELEBRATION OF IRISH AMERICAN CULTURE FOR THE WHOLE FAMILY! Trad Session & Irish Bands throughout the day! Can you win the contest or know someone who can? Local Irish Bands and Irish Dance Schools will be featured on the main stage. As well as a Traditional Irish Session. The Charity Partner for the 2019 Irish Music Festival has not been chosen yet. The Red Hair and Freckles Contest is back! This has been a crowd favorite in past years. This free Irish Music Festival is for everyone! Come join in the fun. Whether you're Irish or not is of little consequence. Your spirit, your smile and your heart are the important things. The Irish place high value on the family and urge you to make this a family affair. Bring your lawn chairs and make some new friends! !